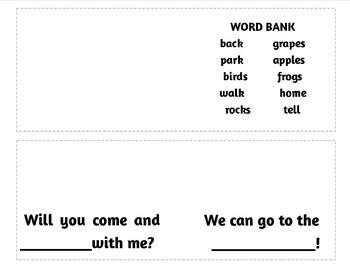 Your beginning reader will enjoy sharing how s/he is learning to use the strategies of Picture Clues and Context Clues when coming to an unknown word while reading. Learning to draw pictures of the sentences and use the words around an unknown word s/he is reading increases his/her understanding and word recognition accuracy. 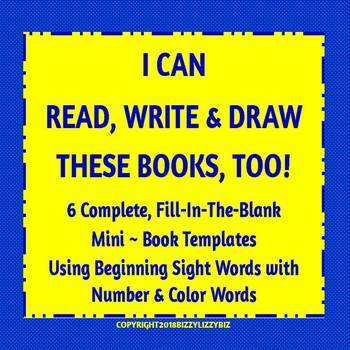 These 6 Mini Fill-in-the Blanks books included in I Can Read, Write & Draw These Books, Too! 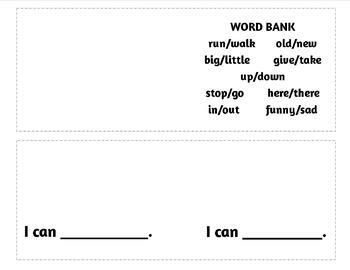 will give your emergent reader the confidence s/he needs to continue into the world of new (and, yes, harder) words & content. Each book concentrates on a variety of specific topics your students are learning, while using Beginning Sight Words with Number and Color Words as well as reinforcing the concept of sentence structures. 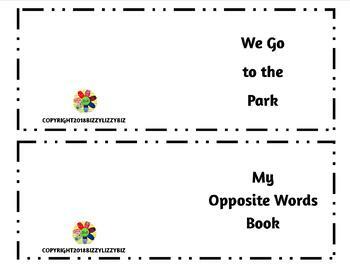 I used this book format successfully when teaching emergent readers. Their drawings, the familiar word repetitions, and Word Bank choices helped them be successful. Use the content for comprehension questions they can easily look, find, and answer. Let me know how you and your beginning readers and writers are doing.